To experience laid-back Australian surfer culture at its finest, there’s no better place to visit than the casual beach town of Byron Bay, located a one-and-a-half-hour flight north of Sydney. 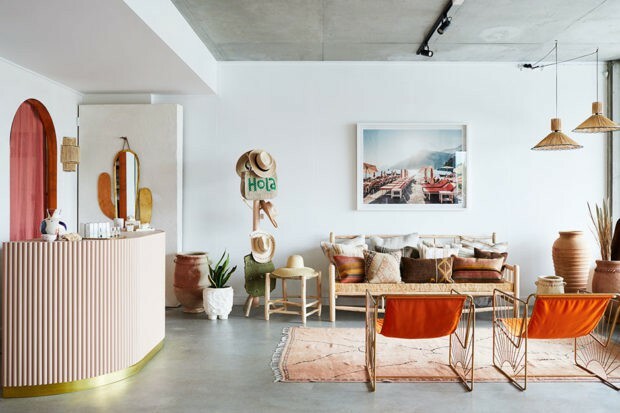 This seaside destination, which is about eight square blocks in size, is a favorite long-weekend escape for Sydney locals and such Aussie celebs as Chris Hemsworth and Margot Robbie. With a chill vibe that feels like a mix of Tulum, Hawaii and Florida, Byron Bay is primarily a destination for surfers or younger travelers looking for a fun atmosphere and boho-chic shopping. Plus, there are some great farm-to-table restaurants, charming nearby towns and lots of water sports. Contact Indagare for assistance planning travel to Byron Bay, Australia. 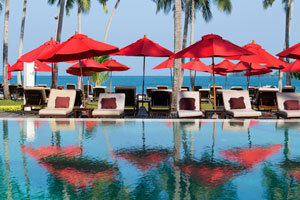 Our specialists can book you at the hotel that is right for you and plan great meals and activities. The top hotels in Byron Bay tend to be quite minimalist. 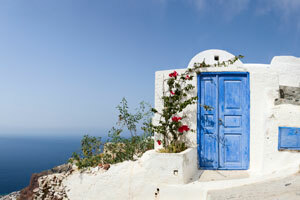 The hip new Bower, for instance, is stylish, but offers little beyond cozy rooms and a small pool. It is located just a few blocks from the center of town, and makes the best base for travelers who want to be close to Byron proper. 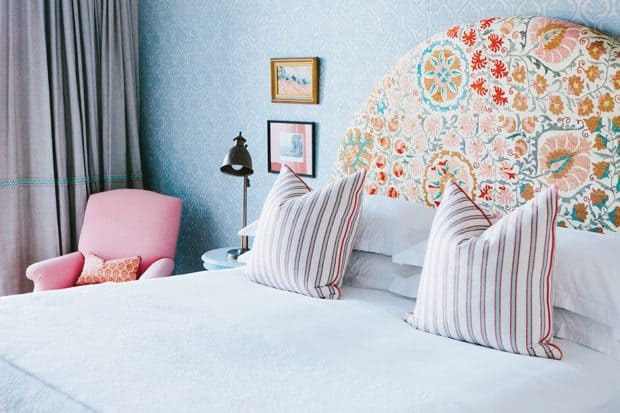 For the most luxurious experience, it is better to stay 30 minutes away in Cabarita Beach’s Halcyon House, a fabulous beachfront hotel with a “preppy Australian” aesthetic, spa, pool and complimentary bikes and McTavish surfboards for guests. One of the hotel’s best features is its restaurant, Paper Daisy, which serves seasonal cuisine including smoked pumpkin with fried seeds and miso, roasted fish with fennel and sorel, glazed lamb with turnips and chickpeas and pan-roasted celeriac with mushrooms and rye koji. 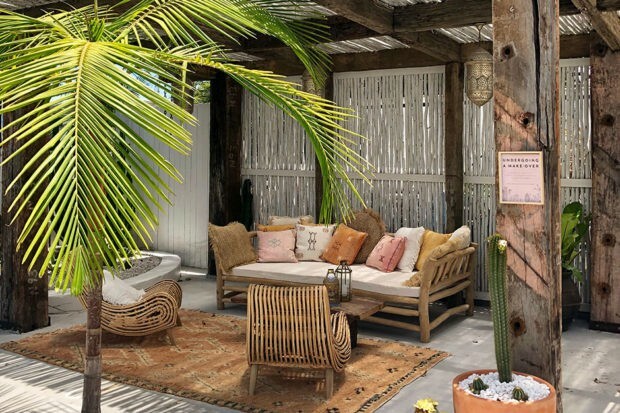 No trip to Byron Bay is complete without a meal (or two) at The Farm, a sustainable, 80-acre property with gardens, a flower shed, a playground, a restaurant and café and pastures for pigs, horses, cows and more. The main restaurant, Three Blue Ducks, offers breakfast and lunch and dinner on weekends, and incorporates ingredients from the property’s farm in dishes such as coconut chia pudding with turmeric granola, slow-roasted brisket with a fried egg and miso glazed pumpkin with whipped tofu and radish. After dining, walk around the farm or join one of the Farm Tours, which run often. There are also workshops on organic gardening and bee keeping. 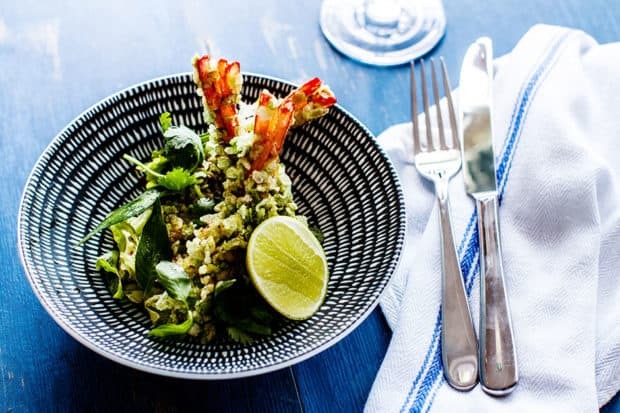 Byron Bay’s other destination restaurant is Fleet, which is actually located 30 minutes away in the town of Brunswick Heads. 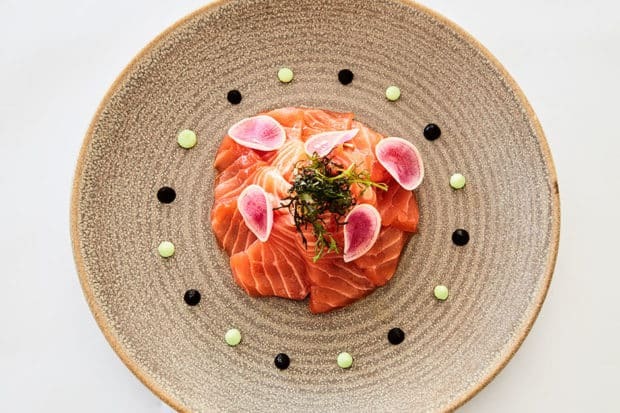 The revered gourmet restaurant has just 14 seats and à la carte offerings including pork short loin with miso and kohlrabi at lunch and a tasting menu at dinner. Byron Bay is filled with excellent restaurants, with everything from stylish bars to healthy cafés. For a trendy scene, don’t miss The Mez Club, a Mediterranean haunt with pretty, beachy interiors, flavorful cocktails and such bites as warm pita with dukkah and crispy haloumi, or Barrio, a cool Spanish restaurant on the outskirts of town that offers mouthwatering dishes including beef with chimichurri, Cubano sandwiches and chickpea flatbreads. Other go-tos for a nice night out include St Elmo Dining Room & Bar, for Spanish tapas, Raes on Wategos, for beautiful water views and fresh seafood, and Beach Byron Bay for modern Australian fare and an alfresco setting. Those looking for a midday break or more casual stop will find numerous options in Byron, which has lots of healthy juice shops and poke joints. Bayleaf Café is an all-day spot with great music and a menu offering easy dishes such as chia seed pudding and Brekkie Greens (a mix of avocado, greens, grains and two poached eggs). A favorite of locals, Top Shop is a tiny beach shack beloved for its coffee, açaí bows and legendary burgers. 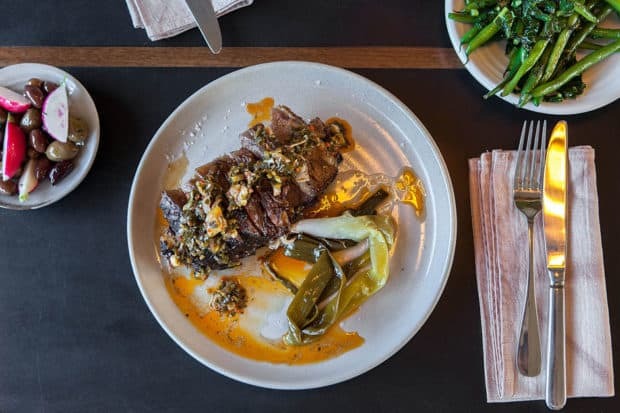 Additional standout spots for a low-key bite or grab-and-go meal include Leaf and Grain, Combi and the Byron Bay General Store. One could easily purchase a closet’s worth of summer attire by shopping at the boutiques in Byron Bay. A must-visit for every boho fashionista is Spell & the Gypsy Collective, which is located on the edge of downtown Byron and the address for hippie-inspired frocks and billowing, feminine tunics. In town, Hope and May offers great beach hats and designs by such labels as Free People and Faithful the Brand. After perusing the goods, pop next door to 11-11 O’Clock, a lovely boutique selling fashion, sunglasses, bikinis and more. And just a few blocks away is Rowie, which is stocked with airy linen pieces that should be a part of every Byron Bay wardrobe. A short drive from Byron Bay is a new area that is becoming gentrified and quickly filling up with great shops and restaurants. Most notable is Habitat, a complex that is home to restaurants (including Barrio), shops and fitness studios. Two of the best boutiques are Habitat Collective, which stocks dozens of local designers and sells fashion, home décor, jewelry, art and more, and Tigmi Trading, where you can find incredible global furnishings (think vintage Turkish rugs, Moroccan towels and handmade Italian ceramics). A few blocks away are Pampa and St. Agni. Pampa sources all of its offerings from Argentina—the wares include everything from llama rugs to blankets made by artisans in rural Argentinian towns. 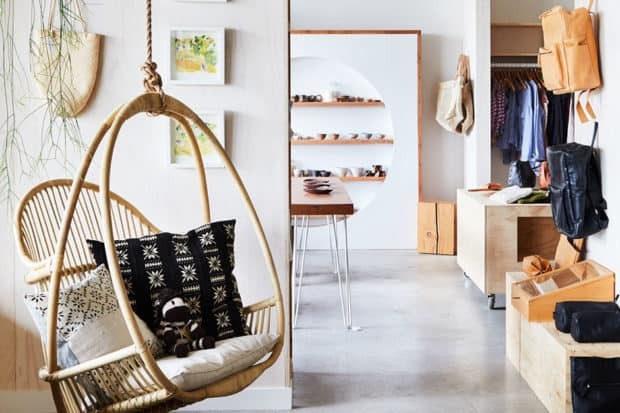 Founded by two Byron Bay locals, St. Agni is known for its high-quality leather products (most splurge-worthy: the sandals), but it also sells beautiful gold jewelry, vintage jeans and airy frocks ideal for days spent by the beach. Byron Bay is a surf town at its core, so taking a lesson on either Byron Beach or Tallow Beach is a must. Active types can also fill their days fishing, snorkeling with turtles, kayaking, paddle boarding, horseback riding and taking yoga classes. 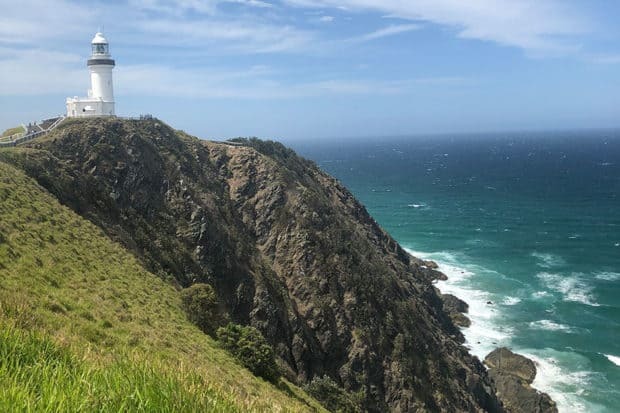 The hike from town to Cape Byron Lighthouse offers some exercise and spectacular views from the easternmost point of mainland Australia. 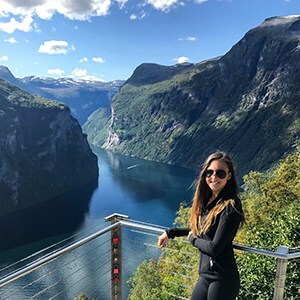 For a longer hike, drive one-and-a-half hours to Springbrook National Park, a 15,000-acre park with trails, waterfalls and wildlife (including koalas and lots of bird species). While it’s easy to spend all your time at the beach, the area just inland from Byron is a pastoral paradise with a handful of special towns, all within a 15-minute drive of downtown. In Newrybar, don’t miss Newrybar Merchants, a rustic-chic boutique that sells local bath products, stationery, rugs, bright beach cover-ups and books, or Harvest, a charming restaurant, bakery and deli. Mullumbimby, the region’s so-called wellness town, is filled with organic markets and cafés and yoga studios. For a not-so-healthy indulgence, enjoy a meal at Milk & Honey, which serves Italian dishes and wood-fired pizzas with toppings like spicy salami, pork and fennel sausage and pumpkin with sweet onions. Bangalow has a charming country vibe and lots of coffee plantations, orchards and macadamia nut farms. In the town center is Bisque Traders, a treasure trove of global furnishings, Johansen, a boutique selling elegant feminine looks, and Bangalow Pharmacy, an old-fashioned apothecary that carries products by international luxury brands Astier de Villatte and Santa Maria Novella.